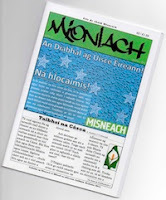 Mór scannán le bheith ar an mór scáileán! 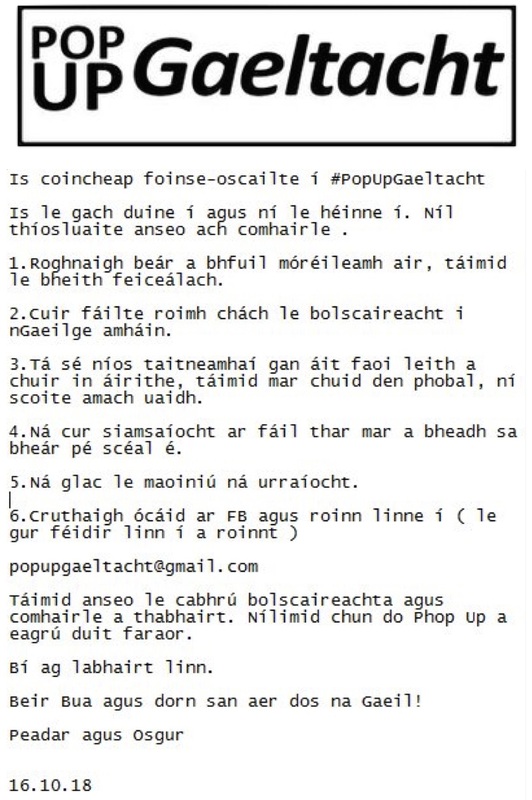 Den dara uair i mbliana beidh leagan Gaeilge de mhór-scannán do pháistí ar taispeáint i bpictiúrlanna ar fud na tíre faoi cheann míosa. Beidh Amhrán na Mara á thaispeáint sna pictiúrlanna ó 10 Iúil 2015. Bhí Spúinse as Uisce le feiscint níos luaithe sa bhliain sna pictiurlanna ar fud na tíre. Is é an comhlacht aitheanta Cartoon Saloon (Béarla) i gCill Chainnaigh a léirigh agus Tomm Moore a stiúraigh, an té a stiúraigh The Secret of Kells, saothar ardchaighdeáin eile roimhe seo. Fuair an saothar nua seo ainmniúchán do ghradaim Oscar 2015 don Fhadscannán Anamúlachta is Fearr, éacht ar leith do shaothar Éireannach. Is é an comhlacht Macalla, a bhfuil cáil ar leith tuillte ag a shaothar le cartúin do TG4, a rinne Amhrán na Mara, an leagan Gaeilge, atá maoinithe ag TG4 agus Údarás Craolacháin na hÉireann. 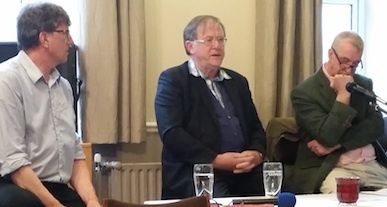 Scéal draíochtúil geanúil atá sa scannán a bhfuil téamaí go leor ann ó bhéaloideas na farraige in Éirinn, an mhaighdean mhara agus an saol fo-thuinn, anamúlacht ildaite mhealltach, le guthú ó sár-aisteoirí agus le fuaimrian cheolmhar bhinn. Is cailín beag tostach í Saoirse a bhfuil a máthair imithe ó bhí sí ina naíonán. Ach tá dúchas ar leith ag Saoirse, a thugann í ar eachtra rúndiamhrach. Ar an gcliar guthaithe atá páirteach sa leagan Gaeilge tá Brendan Gleeson agus Fionnuala Flanagan, beirt aisteoirí a thacaíonn go rialta agus go fial le tograí TG4, Colm Ó Snodaigh, Lisa Hannigan, James Ó Floinn, Gráinne Bleasdale, Maurice O'Donoghue, Donncha Crowley, Niall McDonagh agus Tom O' Sullivan. “Tugann TG4 tacaíocht agus spreagadh don chomhlacht s’againne agus ba mhór againn a bpáirtíocht fhial sa léiriú seo." a dúirt Paul Young ó Cartoon Saloon. "Tá bród agus ríméad orainn go bhfuil Amhrán na Mara á eisiúint i nGaeilge ag am céanna leis an leagan Béarla Song of the Sea. Rinne an chliar aisteoirí sár-obair sa dá theanga, go háirithe Brendan Gleeson agus Fionnuala Flanagan." Dar le Jane Farley ó Mhacalla Teoranta, bhain siad an-taitneamh as an leagan Gaeilge den fhad-scannán seo a sholáthar. "Dúshlán agus pléisiúr ar leith ab ea leagan Gaeilge d’fhad-scannán a dhéanamh ach bhaineamar sult agus spraoi as freisin!"